Spalling is caused by the freeze / thaw process which contracts / expands the concrete. This is especially a problem during the first couple of years often near the joints. To prevent spalling, you need a hi grade seal and cure which can allow the concrete to breath and protect it – especially during that first critical year. TRS is a HI-TECH deep penetrating sealer and cure that easily passes the ASTM one hundred day freeze / thaw test. 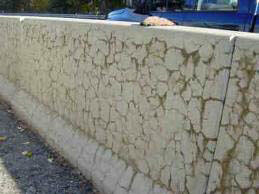 TRS helps prevent spalling because it does not encapsulate the concrete like other sealers such as acrylics. In fact, TRS has the necessary 2% VTR vapor transmission rate, which actually allows the concrete to “breathe”, preserving the tensile strength in spite of the contraction / expansion of the seasons. When TRS is applied it lets the concrete’s natural flexibility continue to operate so that it can inhale / exhale with the seasons. When you use TRS, you can be sure you are using a deep penetrating HI-TECH formula that will penetrate in and protect during those critical years and remain for many years to come. Often used on bridges and tunnels but suitable for residential and commercial applications. 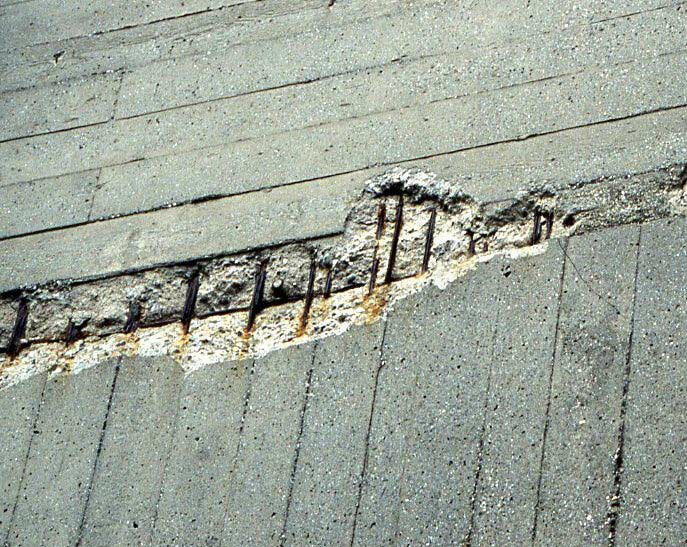 If spalling has already occurred, TRS can and should still be applied to keep the concrete in check and greatly assist from further damage. Dusting is a problem and TRS can really make a difference. 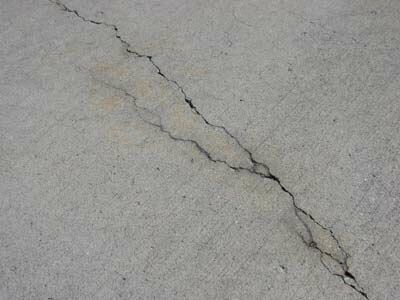 Discoloration occurs because of metal in the concrete, aggregates, add mixtures, fast sets or stains and spills. In order to keep discoloration to a minimum it is vital that you do not put something on our concrete that encourages a greater discoloration of the concrete. Acrylic, Silanes, and some Siloxanes will actually add to the color change of the concrete, making discoloration even worse! TRS is a clear, flat, sealer that can’t flake and won’t yellow. Also, TRS will NOT change the color of your concrete (check for color fast on dyed concrete).